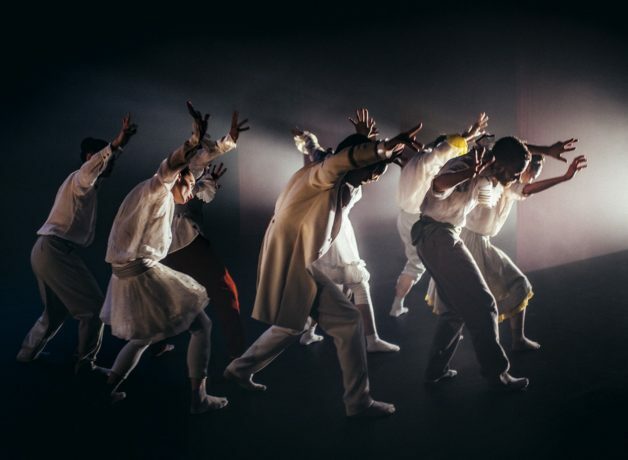 Following January’s sell-out show Grand Finale, internationally celebrated choreographer Hofesh Shechter returns with SHOW, a wild and wicked performance composed of three acts. Performed by the hottest new talent of the Hofesh Shechter Company, SHOW is composed of three acts: The Entrance, Clowns and Exit. Combining Hofesh’s bold, exhilarating and tribal choreography with a pulsating score, SHOW revolves around a group of anarchic performers as they play their parts in a macabre circus of comedy, murder and desire. SHOW offers a bitingly comic vision of a topsy-turvy world where fools can be kings and kings fools, performed in the company’s unique and unforgettable theatre-dance-rock-gig style. Clowns originally debuted to rapturous acclaim at NDT in 2016 and now returns alongside new material by Hofesh Shechter. SHOW is produced in association with HOME Manchester and Lyric Hammersmith, and received production support from Fondazione I Teatri Reggio Emilia and a production residency at the Attenborough Centre for the Creative Arts, Brighton. Want to see more than one show this year? David Lescot’s heart-warming adolescent drama about the challenges of school, friendships and growing up.